Get your Spain vacation off to a smooth start with a luxury arrival transfer from Malaga Airport to Marbella. 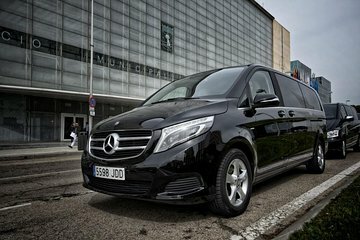 Rather than waiting in a long line for a taxi or trying to overcome the language barrier on public transport, you'll travel directly to your accommodation in the air-conditioned comfort of a luxury vehicle. Plus, opting for a private transfer means that you won't have to wait for multiple drop-offs.